Looking For Party Hire In The Northern Beaches? If you are looking for quality party hire in the Northern Beaches, then Walkers Party Hire is your ‘guy’. In fact, Walkers Party Hire is more than just a guy! We are a bunch of professionals, lots of party equipment, and a fleet of vehicles; offering and delivering hassle free party hire experience in the Northern Coastal suburbs of Sydney, in the state of New South Wales. We offer a full planning, set-up and pull-down service; along with a full range of party hire equipment, offering a wide range of marquees, flooring, tables , chairs and other furniture, crockery, catering, decorative, lighting and heating and cooling for hire. Walkers Hire is a reliable party hire service with over 50 years of experience in Sydney and New South Wales; having managed many events, parties and weddings in the region. We cover most Northern Beaches suburbs such as Collaroy, Dee Why, Manly, Balgowlah, Palm Beach, Newport, Avalon; offering and delivering whatever it takes to make your special event even more special with our party hire services. Known for best beaches in Australia, the Northern Beaches boasts of more than half of Sydney’s beaches. The area is as scenic as it can get, with sparkling waters and natural reserves. A perfect place for outdoor events, to entertain and charm your guests with enchanting views and lots of adventure and water sports. With attractions like Manly Beach for Surfing, Newport – a beautifully renovated historic pub on Pittwater foreshore, and pristine waterways of Narrabeen Lagoon next to Ku Ring Gai Chase National Park; the Northern Beaches is quite a happening place. Clearly an ideal place for outdoor parties, weddings and marquee events; offering stunning views of gorgeous white sand beaches. 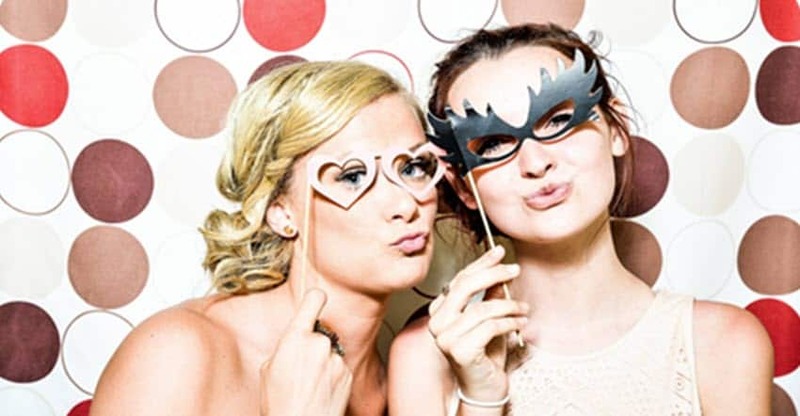 We offer everything party related for hire in the Northern Beaches, covering all major suburbs like Collaroy, Dee Why, Manly Balgowlah, Palm Beach, Newport, Avalon. With our offices across Sydney, and our North Shore branch in the Lane Cove West business park off Epping Road, we offer and deliver party equipment and party hire services. With our fleet of covered vehicles, we ensure speedy delivery of spick and span party equipment at your party venue in the Northern Coastal suburbs of Sydney. Our party hire specialists are expert at creating and decorating marquees. And at the risk of sounding boastful, we would like to point out that Walkers Hire has both experience and expertise, coupled with best party equipment, considering we only use Hoecker brand marquees and pavilions; to make events successful and happening. Walkers Party Hire is all about marquees, be it creating customised marquees as per the venue, or offering standard A-Framed marquees of varied sizes. We offer a wide range of A Framed marquees of different sizes and dimensions, pagodas and dome structure marquees, in white and clear vinyl. Our clear marquees are ideal for beach view events and weddings, offering protection of a marquee, without disrupting the views and imagery of beaches and stars of the night sky. All our marquees are Hoecker brand marquees, designed with best of technology, using the safest materials, suitable for all fittings and grounds. Our marquees are our pride! We do everything in our power to give you the best marquee hire experience by working on aesthetics and quality of our arrangements to the point of perfection. So, call us today to get a free of cost site inspection of your the Northern Beaches venue, to get exact dimensions of the marquees you can hire. At Walkers party Hire, we spoil you with choices for tables, chairs, consoles, lounges and other pieces of furniture to make your event comfortable and pretty at the same time. We also offer glow furniture, a rage among this generation. It lets you change colour with a remote control, throughout the event. And, it’s hassle free with minimal wiring. Our furniture is sturdy, comfortable, clean and great to look at. From crockery to catering equipment, we deliver it all, all neatly packed and wrapped for the sake of hygiene. So, go ahead choose from a variety of vintage style china and cutlery, standard glassware and crystal glassware, to lay your tables with finest quality crockery. Also, we offer a huge range of catering equipment, providing hassle free solution to serving and heating your delicacies. Our food warmers come highly recommended. We offer a variety of portable timber and vinyl dance floors for ease, comfort and aesthetics of your event. We can make these floors to suit almost any room. We even offer flooring to cover a swimming pool so you can make the most of the space in your backyard. Our vinyl black and white dance floors are used for flexibility and waterproofing of outdoor events. It’s modular and we can set it up into a dance floor of any size to suit what you need. At Walkers party Hire, we love decorating and making all things look pretty. We stock the best quality, latest design party decorations such as urns and consoles, centrepieces and variety of chandeliers for lighting and decor. You can choose from our, hanging decorations and flower decorations, and even have your own decor that we can put together to suit the styling you are looking for with your event. Even though the weather in the Northern Beaches is fantastic, with lots of people and lighting inside a marquee, you might need to control temperature with our heating and cooling equipment, to put your guests at ease. Hence, you may use our heating equipment in winters and cooling equipment in the Northern Beaches summers to create a perfectly controlled temperature within your marquee on your special day. Walkers Party Hire is your ultimate, tried and tested, party hire service for the Northern Beaches. We are a one stop party shop to meet all your party hire needs, offering you the latest marquee designs and other party equipment, for a successful party. So just go ahead, pick a date and decide on a place from among the stunning suburbs of the Northern Beaches; and leave the rest to us. Allow us to plan and make your party arrangements, working the detail, while you are busy inviting the guests and shopping for clothes and goodies. Thus, reach us for any party related query, or to fix a free of cost inspection of your site; for we are here to help you make your special event successful and memorable.